I have two things to post today. I’ll get to Proverbs 28 in another post. 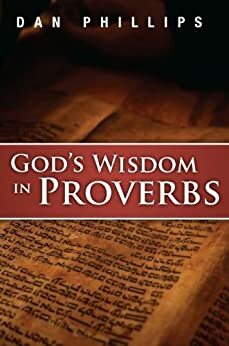 This is not a verse-by-verse commentary on Proverbs, but rather a look at selected passages to help explain the book length concepts for Proverbs. Phillips examines a wide range of Proverbs, takes down some misconceptions, and applies good hermeneutics to the task. It is from reading God’s Wisdom in Proverbs that I first heard the explanation of Proverbs as “living skillfully in fear of God” (I think that’s the quote, my copy is currently loaned out). That has become my functional definition for this blog as well. If you want to study Proverbs as a cohesive book rather than a hodge-podge of nifty statements, start with a good, literal translation. (Or Hebrew, if you’re Randy Cox.) Then, add in God’s Wisdom in Proverbs. You will not regret it.